Give to women in need. Be part of the cause and help us Pink Out the community! AdventHealth Waterman has partnered with BraVo to increase breast health awareness, encourage women to get regular mammograms and provide financial support to women who cannot afford an annual mammogram. Show your support by purchasing a pink flamingo at Artisans on Fifth in Mount Dora, at the AdventHealth Waterman gift shop or at one of many other locations throughout the community. 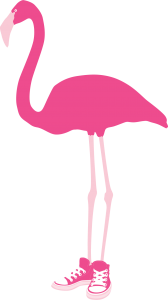 For just $10, you’ll get one flamingo for your yard and another will be placed among the growing flocks across our community. You can also purchase your flamingo online HERE and take your gift receipt to the AdventHealth Waterman gift shop to pick up your flamingo.